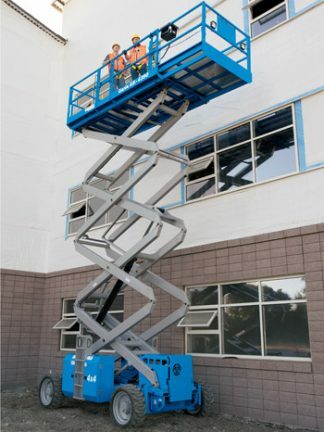 Hire Diesel Scissors Lift Direct From Cherry Picker Today! Hire diesel scissors lift from us at Cherry Picker. It is a tough, construction-oriented four-wheel drive machines with positive traction control, ideal for increasing productivity in demanding outdoor worksites. 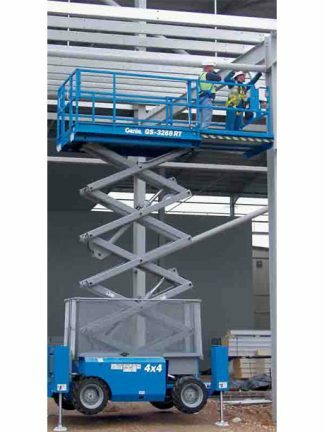 The competitive lift speed and large platforms maximize efficiency. Here at Cherry Picker, we have over 20 years experience supplying diesel scissor lifts to the Irish market as sales aerial work platforms. We also supply for the hire market covering Dublin and surrounding counties. 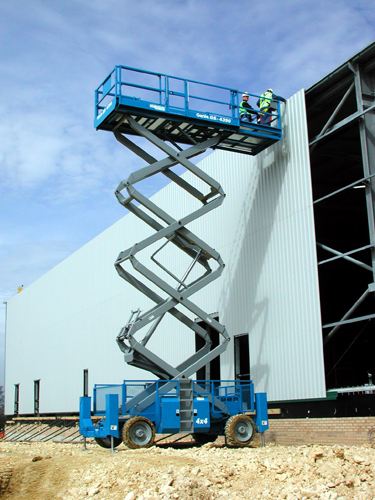 We have a dedicated team of scissor lift experts that can discuss your requirements with you. so call Cherry Picker on 1890 228 229 or 01 835 4788 and let our experts help you choose the right access platform to meet your needs. Whether you are interested in hiring a scissor lift sales machine on a daily, weekly or long-term basis we can guide you through the process and help you decide the right option for you.